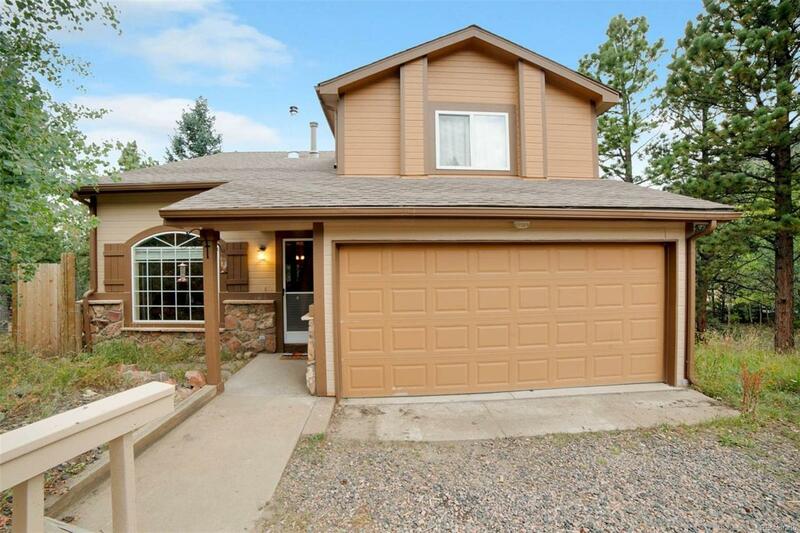 Immaculate 2 bedroom 3 bath home in the mountains! Fresh paint throughout! Gleaming wood floors welcome you into the great room as you walk in. There is a newer high efficiency fireplace with a granite hearth inlay around the fireplace. The kitchen has granite tile counter tops with a window offering a mountain view across the back deck. Upstairs there is a loft area looking down into the great room and easily could be converted into a third bedroom if needed. Touches of love show throughout this home. Only minutes to Black Hawk. Open House Saturday September 1.